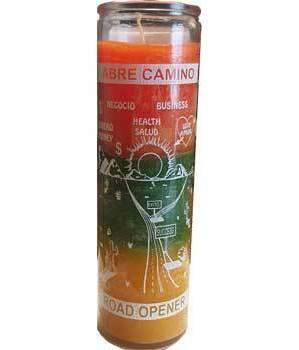 Road Opener candles are sought for to help clear the way of any obstacle in life.. It has three wax colors to enjoy or to set your purposes. White graphics on glass to help visualize your purpose.